The Place For Hip Hop Artists To Connect With Well Known Bloggers! Top 5 Most Popular Blogs! 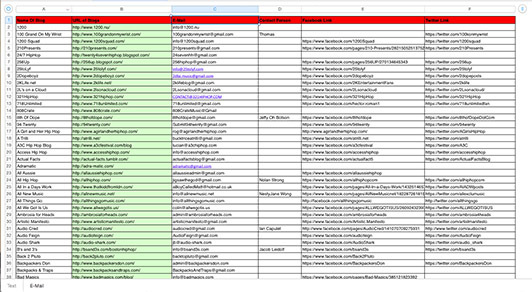 The list contains the following fields: Name of Blog, URL of Blog, Contact Person Name, E-Mail, Facebook Link, Twitter Link. Fill out the form below to get the 350+ Hip Hop Musical Blog’s List in Excel Format.